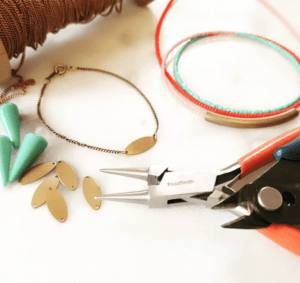 « DELICATE STYLE JEWELLERY – You Are The Designer! 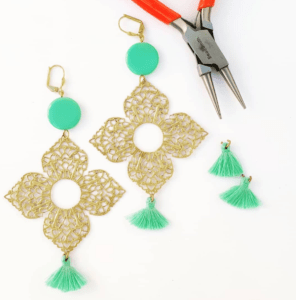 Do you love wearing earrings and want to learn how to make your own? Do you want to lengthen, broaden or soften your face shape? Then book YOUR earring class today! 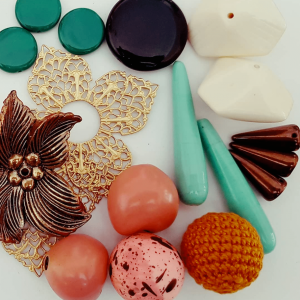 Whether you are a crafting novice, a girl who simply loves earrings or want to escape the office and nurture your creative soul this class is for you. 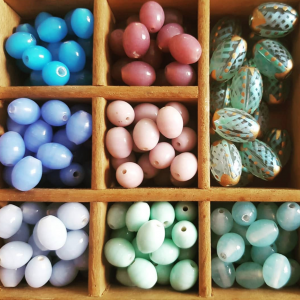 Link and wrap beads and charms from an extensive range of both vintage and modern crystals, cameos, stones and brass filigree. Learn all about how you can elongate or soften your face shape just like a stylist. 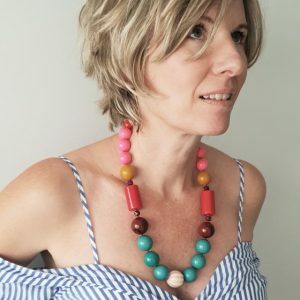 Design earrings that both accentuates your assets (such as triangular or round or heart-shaped faces) whilst remaining unique and creative. Enjoy being in a small creative studio space with no stress and no distractions. Just a group of like minded people (min 8) enjoying making, crafting and some sweet treats for afternoon tea. 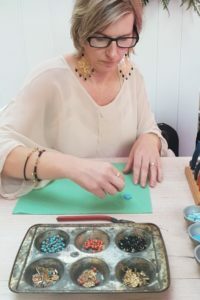 Enjoy a group learning hands on experience workshop and leave with an amazing piece/s of jewellery which will impress you as well as your friends, plus loads of inspiration and a spark of creative passion. You will leave inspired and empowered to practice what you have learnt. 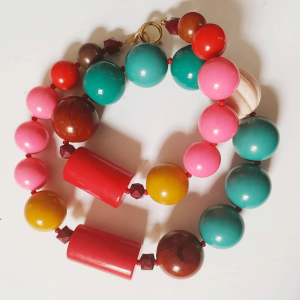 No previous jewellery making is necessary. PART 1: Start with a session on style. Once you know your shape, design your notable unique earrings and accentuate your face’s natural shape by creating symmetry and balance. Ever wanted to soften, broaden or lengthen your face? Let me show you exactly how! 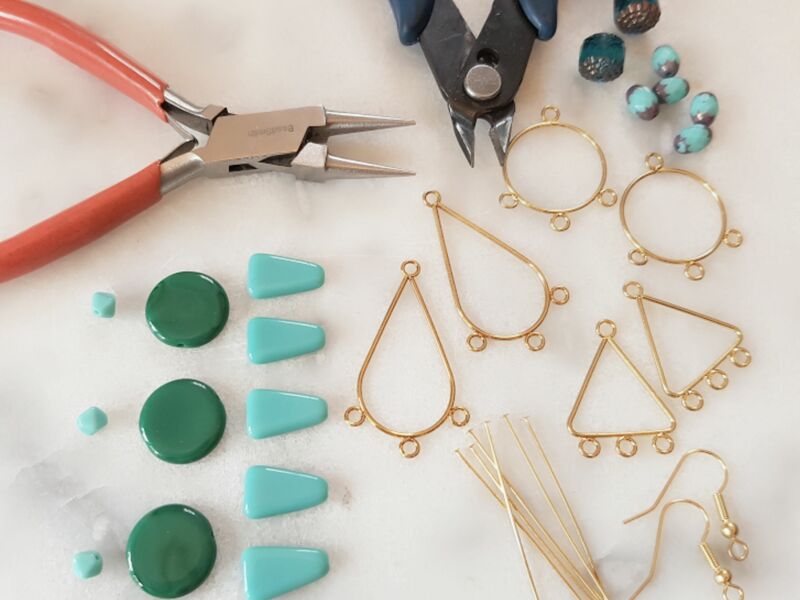 PART 2: Design and create your statement earrings. Designs from the catwalk this season are using lots of different materials – metal, nuts, wood, plastic and glass beads. NOTE: all parts are nickel and lead free! Make 2 pairs of unique earrings: think statement chandelier earrings as unique as you! How to confidently choose the shape of beads and design earrings, which suits your face. Starter packs will also be available to purchase on the day. These packs are created for the beginner beader & include tools, beads & jewellery parts. BOOK NOW and join me for our first class for 2019!